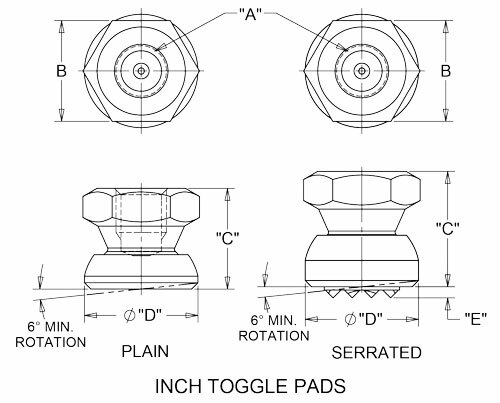 Carbide Tipped Toggle Pads provide multiple point contact to compensate for surfaces that are rough or out-of-round. Points will embed themselves in the workpiece, which assures positive gripping. It eliminates possible radial load on the workpiece. 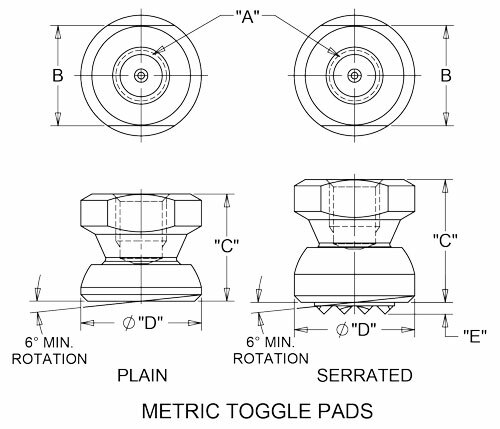 Note: Metric Toggle Pads have two flats instead of a hex configuration on the head.